Can't you feel it circling, honey? Can't you feel it swimming around? The new musical Escape to Margaritaville, featuring both original songs and your most-loved Jimmy Buffett classics, will launch a North American tour in October 2019. According to producer Frank Marshall, the traveling production will kick off at Rhode Island’s Providence Performing Arts Center. Directed by Tony winner Christopher Ashley, Escape to Margaritaville opened at Broadway's Marquis Theatre in March 2018. Tour cities and casting will be announced at a later date. Imagine a place where the sun is hot, the ocean’s warm, and the drinks are as cold as they are plentiful. Welcome to Margaritaville, the island paradise where city folk get away from it all and the locals get into the kind of trouble you can almost always sweet talk your way out of. 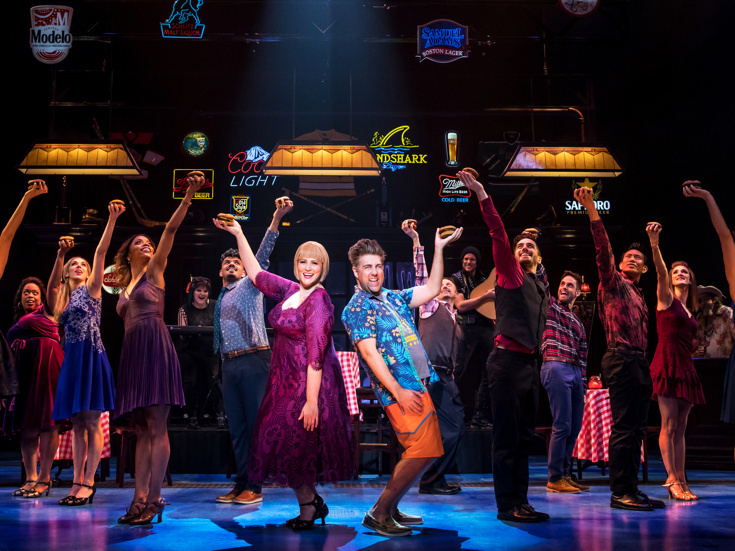 Featuring music and lyrics by Buffett and a book by Greg Garcia and Mike O'Malley, this new musical is the story of a part-time bartender, part-time singer, and full-time charmer named Tully who thinks he’s got life all figured out. Until a beautiful career-minded tourist steals his heart and makes him question everything. The Broadway production of Escape to Margaritaville stars Paul Alexander Nolan as Tully, Alison Luff as Rachel, Lisa Howard as Tammy, Erik Petersen as Brick, Don Sparks as J.D., Andre Ward as Jamal and Rema Webb as Marley. San Diego's La Jolla Playhouse presented the musical in a limited engagement from May 9 through July 9, 2017. Following its run at La Jolla, the musical had limited runs in New Orleans from October 20 until October 28, Houston from October 31 until November 5, and in Chicago from November 9 until December 2, 2017. The musical premiered on Broadway in February 2018. There’s no better place to relax, sing along, and have the time of your life!